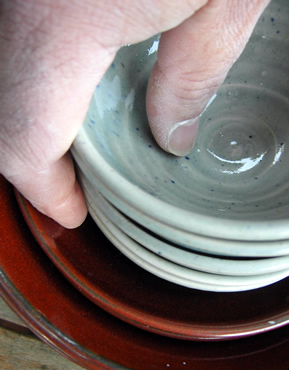 Work can be purchased direct from the studio, where a range of pots is available to view. Please use the contacts page to arrange a convenient time to visit. Graeme exhibits at various venues in Hampshire and beyond. His work is currently available at The Candover Gallery in Arlesford. A large sale of work is held once or twice a year at the studio, usually in May and November. This is advertised locally before the event.